Make sure you're getting it all done and doing it right with this handy checklist of garden chores to perform in Iowa after the first frost. Click here for a pdf printer-friendly version. Pull up all annuals. Pitch on the compost heap. Cut back perennials damaged by the frost, but leave those up that have interesting shapes and seedheads, especially sedums and ornamental grasses. Leave purple-coneflower seedheads up for the goldfinches. 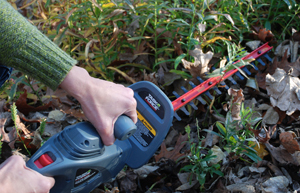 You can also cut back perennials in the early spring if you want, but you might as well get at least started on the task now. The job will go faster and easier with a power hedge trimmer. You can buy an electric one for around $30 and it makes the job a breeze. If you don't already have a compost pile, start one. Or better yet, several. (I have five!) It's a great way to dispose of yard waste in an environmentally friendly way and compost is the ideal fertilizer and soil amendment. If you have a lot of branches and yard waste—more than any compost pile or two could hold—pile it up in the driveway. Haul it to a yard waste facility yourself, or call any landscape company or tree service to do it for you. After the first frost, dig up and store indoors any tender bulbs, such as gladiolus, cannas, dahlias, and caladiums, that you want to store over the winter. Empty all pots and store indoors for the winter. In Iowa's harsh winters, even plastic containers will crack and clay pots will definitely shatter. Keep on weeding. Get weeds now and you'll save yourself work in spring. If you have any newly planted trees, especially fruit trees, wrap them with a protective tree wrap now. It prevents sun scald and also prevents rabbits and rodents from nibbling the tasty bark. Remove in spring. Perennials and strawberries do best with 1--4 inches of a loose, removable mulch over and/or around them. Leaves chopped by running a mower over them are perfect. You can use straw, but it often distributes seeds into the flowerbed. Remove in spring when plants start to send out new growth. Protect roses. Avoid cutting back roses (and never use those white cones--they can actually be harmful to roses, not to mention that they're unattractive). Roses tend to survive the winter better with as much of their plant material intact as possible. However, if there are long canes that will whip in the wind, go ahead and cut them back somewhat. Then mound all but rugosa roses around the base with 8--12 inches of compost or rich, dark soil to protect the bud union (right above the roots) from winter cold. Hybrid teas, grandiflora, and floribunda roses—the least cold hardy types—are more likely to survive the winter if you also wrap their stems in burlap and twine. If you have tender plants that are perennials in warmer climates, you can experiment with bringing them indoors for the winter. Hibiscus, jasmine, rosemary, citrus trees, and others will often survive the winter if brought indoors and given a sunny site and sometimes even under a grow light. However, equally critical is protection from drafts and adequate humidity. Set the plants on a tray filled with pebbles and water to increase humidity around the plant, and keep in a room that is as cool (but not freezing) as possible, ideally around 50 degrees. You can also overwinter annual-type geraniums (Pergolarium). Bring them indoors in pots to keep under a grow light. Or remove them from the pots, shake the soil off the roots, and store in a cool place, such as a cool basement, in a paper bag until spring. Pot up and cut stems back by about two-thirds. If the fall has been dry, water plants, especially evergreens and trees and shrubs planted less than a year ago. Even this time of year, plants still need adequate moisture. Otherwise, they might go into winter dehydrated and stressed, making them more likely to die out by spring. Clean up your garage or tool shed so that everything is ready to go for spring. Clean, sharpen, and oil tools as needed. Get everything organized. Detach garden hoses to prevent burst outdoor faucets. Drain and store in a sheltered place. If you have a rain barrel, empty it and store it in a sheltered place. Check out clearance sales for potting soil, fertilizers, soil amendments, tools and other supplies, and stock up for spring. Plant spring-blooming bulbs. October is the month to plant tulips, daffodils, crocuses and more. Plant in clusters of eight, 10, or more. They look best that way and it also allows you work in plenty of compost into the soil. Water well after planting. Plant mums as desired. You can buy them now in full bloom. There are two basic types of mums: Florist's mums, which aren't winter hardy but are very neat-looking with large flowers, and garden mums, which are more wild looking but will come back again next year. Florist's mums are great for pots indoors and out, while garden mums are good for planting in the ground for a permanent planting. Force bulbs now. Forcing bulbs is simply planting spring-blooming bulbs in pots, chilling them in the fridge, and then bringing them out in January and February to grow and bloom indoors, like a houseplant. Fertilize cool season lawns, such as Kentucky bluegrass, ryes, and fescues, to encourage good root growth. Even though you may have fertilized them in September, it's a good idea to do it again in October to encourage faster greening up in the spring. Also fertilize this month warm-season grasses, such as zoysia, also to prompt them to green up faster in spring. Rake leaves as needed. Keep it off the grass--it can suffocate it. However, if it's collecting in your flower beds and borders, consider leaving them. It's nature's own winter mulch! After the frost, do one final mowing. Maintain your mower. Run your power mower to empty the gas tank for winter. Check your owners manual to see if any filters need to be cleaned or replaced and what, if anything, should be done with any oil that is added to the mower. Sharpen the blade or take it in to be sharpened. In Iowa, even with our softer grasses and shorter growing season, mower blades should be sharpened at least annually. A note on saving seeds: If the plant isn't a hybridized type, you can allow the seed to dry and save in jars until spring. However, if it is indeed hybridized, it won't come true from seed.